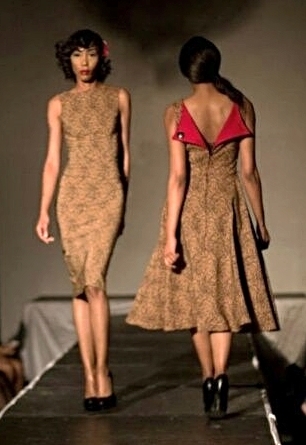 Models of the runway in Tatyana "Wiggle" (l) and "Circle" (r) frocks. The campaign continues… and this time in…Charlotte! We certainly felt like royalty when asked to sponsor the fashion show fundraiser in benefit of the Homes for Heroes org. Geared with the Tatyana collection, Nuvula and Vavavida brands, we headed full speed to “Queen City”. Posted on December 4, 2014 by Toni Brooks and tagged NC.